Our More Than Soup Contest provides a way to fundraise and build awareness about what NightShift is doing to reach the homeless, hurting and vulnerable people on our streets. 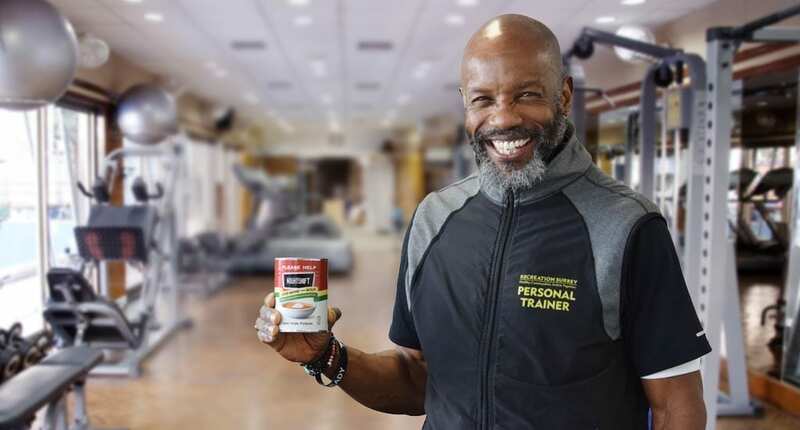 The idea for the More Than Soup Contest was inspired by one of our favourite fundraisers, fitness trainer and friend of NightShift, Carl C., who holds the current record for most donations ever collected in a NightShift More Than Soup collection can. He flexed his fundraising muscle last year, when he collected a whopping $1,201.01 in a single can, in under two months! It’s simple. Get yourself one of our More Than Soup collection cans and put it in your place of business or your home. As you meet with family, friends, customers and clients, tell them about NightShift Street Ministries. Share our mission to change lives with meals, love, hope and purpose. Share your own involvement with NightShift, and the impact the ministry has had on your life. Ask people to partner with you by making a donation to the can. The chance to win one of two great prizes is only half the fun! Along the way, you’ll get to know more about Carl C., who will encourage you with his fundraising tips, and his unbeatable enthusiasm for helping others. For every full collection can you return to NightShift, you will be entered in a draw to win a Starbuck’s gift card and a signed copy of the book The Shift, the true story of how God called NightShift Founder and President, MaryAnne Connor, to leave a successful business career to help people on the streets of Surrey. The person/business bringing in the most donations in a single can will instantly win a signed copy of The Shift, along with a dinner-for-two gift card to a fine local restaurant! All contest can entries must be registered by filling out the simple form below. All contest can entries must be returned to NightShift by or before 5 July 2019. Enter as many contest cans as you like, but each returned can should be filled to the best of your ability. If you are fundraising and displaying a More Than Soup contest can at your workplace, ask permission from your manager or employer. Must be a legal resident of BC, 19 years or older to enter. Minors fundraising must be supervised by an adult. Individual contest can entries must be picked up at NightShift Street Ministries, 10635 King George Boulevard in Surrey, Monday to Friday, between 9 am and 5 pm. Business contest can entries will be delivered to the Surrey and Langley areas, by filling out your business name, address, number of cans and contact name below, before 28 June 2019. Our mission is to love unconditionally and to help each other find hope and purpose. Read our founder’s story of how NightShift Street Ministries began during the winter of 2004.